The Secret Diary of Steve Jobs : Um, a McWhat? 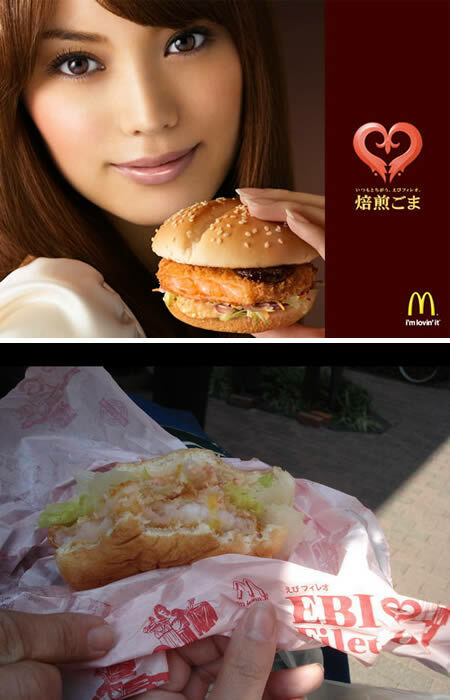 A McShrimp Burger. Or something. She looks happy to be having it, though. Just because your local Mickey D’s has the usual Big Mac, Quarter Pounder, fries, etc..doesn’t mean that’s what they serve in, say, Japan. Take a look at the different items offered around the globe.